PocketPhonics Stories is the award-winning 'learn to read' app for 4 to 8 year-olds. Children need to be ready to write letters and recognise letter sounds to use it. Our apps are used in hundreds of American elementary schools. One of only nine education apps awarded the top A+ rating by Balefire Labs. The app guides children through the literacy journey, beginning with helping them to learn and write their first letter sounds and ending with them being able to read the app's 43 stories by themselves. PocketPhonics Stories is split in to 12 groups of letter sounds, each group is followed by a set of storybooks that use those letter sounds. Kids read storybooks that are on the right level for them. In the first group of letter sounds, there are six sounds to master before the child will be able to read their first storybook. Most children aged 4+ will start to read their first storybook within 10 weeks if they use the app for 15 mins everyday. Parents and teachers can easily monitor children’s progress online. They can see what stage the child is currently at, any letter sounds they are having difficulty with and what storybooks have been read. Teachers and parents are emailed a certificate when a child completes a task. Children can tap an unfamiliar word in a story, and the app will sound out the letters to help the child understand what the word says. If that’s not enough, they can tap again to hear the actual word and see a picture that illustrates its meaning. The storybooks gradually introduce high-frequency words like “the” and “to” that are harder to read because they follow less common spelling rules. As the child reads a story, the app tests that they can read some of the key words and understand their meaning. At the end of the story, the app tests the child on the new words in the story. Each word is spoken in turn, and the child has to select the written form of the word. Only once they are able to correctly identify all the words in all the books on this level, does the app move on to teach them the next group of letter sounds. There's a FREE GUIDE to teaching kids to read available through the app. 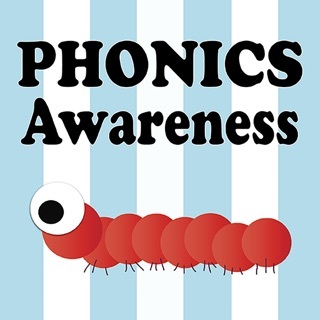 Phonics (letter sounds) help children to read by understanding the sounds that letters make. The National Reading Panel concluded that “children who have phonics instruction read better and spell better than other children”. Montessori & other experts recommend not including letter names when teaching letter sounds. Made it easier to start your child at the right level in the app. Great program for helping kids read! My five-year old son loves reading with this program. Fun and appropriate graphics and sound effects. We started when he was four. Be warned, though, that we always sat next to him to use this as a reading aid, *not* as a reading teacher. It works great when you get tired of reading the same word over and over to your child. The app never loses its patience! And more than the weekly emailed progress reports, watching your child read things all around him (like cereal boxes) makes it all the more rewarding. Give it a try! And make sure you set "Guided access" on (search for that in your Settings panel for your iPad) so your child doesn't end up in Angry Birds when he should be reading!